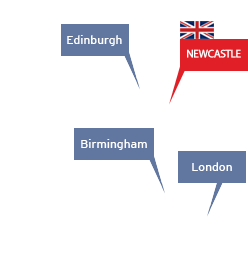 NGI Solutions is a marketing, PR and research agency which provides successful solutions to help meet business objectives. We are experts in communications and can help with everything from the development of a long-term PR strategy or internal communications plan to the delivery of your day-to-day media relations and social media. Our award-winning communications team has extensive consumer, business and corporate PR experience and is full of insight and ideas to help shape and share your messages and campaigns, reach your audiences and drive your business forward. 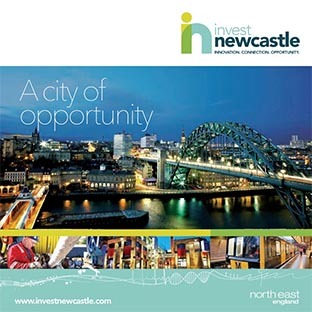 We recognise that businesses opening up a new base in Newcastle may require PR and wider corporate communications support to effectively and efficiently establish and embed themselves within the city, wider North East region and potentially within the UK. seek to understand and / or identify your communications objectives, target audiences and existing PR approach. discuss and agree key business and media introductions that will help to embed your team and business locally. Provide advice and make initial recommendations to support your PR objectives / activity. - Where required we would be delighted to develop a proposal to support your opening / launch PR and communications plans – offering a 20% reduction on our standard daily rate (usual rate: £500 +VAT per day; reduced Land:In offer rate: £400 +VAT per day). This plan could include a launch news release and media call opportunity, bespoke media briefings, development of media pack material, a launch event, a stakeholder engagement strategy and a tailored social media strategy, amongst other tactics – but will be tailored to meet your brief, budget and specific requirements.